HUGE PRICE REDUCTION!!! 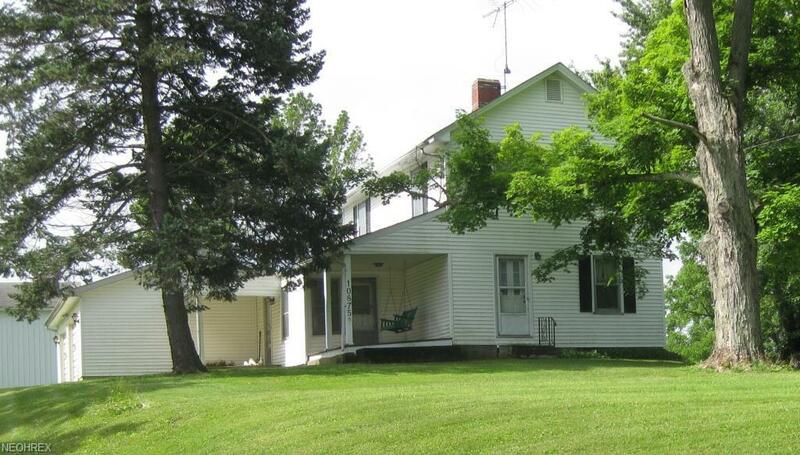 Make an offer on this 2 story, vinyl-sided home which features 4 bedrooms, 2 car attached garage, enclosed porch, and cement driveway on a beautiful 1.5 acre lot. A large 1, 536 SqFt outbuilding (48' x 32') is equipped with electrical service and concrete floor. The house has been completely updated with a new furnace, hot water tank, freshly painted interior, plus new carpet and floor coverings. It has been prepped and is waiting for you to complete the process to make it your beautiful century home. Enjoy country living with easy access to shopping, restaurants, schools, entertainment, and major highways. This property has been zoned B-2 for small business/commercial use. You can start a business or relocate your existing business here. Great Price - Move In Now! The data relating to real estate for sale on this website comes in part from the Internet Data Exchange program of NEOHREX. Real estate listings held by brokerage firms other than Cocca Real Estate are marked with the Internet Data Exchange logo and detailed information about them includes the name of the listing broker(s).